To read the interview as it was published on TMA’s website, please click here. Reece: Beginning to end, this turnaround required use of the turnaround principles from the CTP program. It required the preparing, implementing, and updating of a 13-week cash flow model for the company by a financial advisor, and a purchase of distressed assets by a private equity company, all without filing a bankruptcy petition. Faced with no cash for payroll and operating expenses, broken and unrepaired equipment and machinery, canceled orders from its largest customer, FBI and Department of Labor investigations, and the unexpected death of the principal, the company was ready to shut down and fire all the employees.What was done to save the company and the jobs, win back the confidence of the largest customer, pay the trade creditors and the secured lender, and find a buyer for the assets? Jeff, first tell us what is the business of Vermont Aerospace, and how long had it been in business. Sands: Vermont Aerospace was founded in 1980, and for 30 years they were a success story. They are located in a region in Vermont in the Connecticut River Valley that was known for precision machinery back in the 1800s. As you may know, most of that work has left New England, but Vermont Aerospace held on to great craftsmen who have been doing this work for 35 years. Many of their products are used in aerospace defense, including critical parts in the GAU machine cannon, which proved valuable in pushing ISIS out of Iraq and Syria. They had sold into a full 100 percent ESOP (employee stock ownership plan) in 2010-2011, so the last six years leading up to the turnaround and their decline was under ESOP ownership. Their revenue peaked at $45 million, and when I was brought in, it had sunk to $10 million. Reece: When you stepped into this crisis, what did you identify as the most immediate problems and their solutions? Sands: It was really a mix. The CEO had died unexpectedly the day before I got in, and everyone was rattled emotionally. Beneath that, the company didn’t have any money; the largest customer, which represented 40 percent of their business, had stopped sending in new orders and new RFQs; and they were winding up their backlog. Much of the machinery was inoperable, morale was shot, and there was no accountability with management. Cash and the CEO’s death were the two biggest things. As you can imagine, employees, customers, vendors, and the bank all wanted confidence, certainty, and transparency immediately, which is what I set out to give them. Reece: One of the initial questions in these situations is if it is a viable business. How long did it take you to figure out this was a viable business? Sands: The products and the customers were great. If we could keep them, it was viable. Within two weeks we came to the realization we could probably save the business on our own organically and muscle through. But it would be low odds, high risk, and probably five years of extreme poverty. The other option was to seek a strategic vendor to help keep us alive and give the company the financial footing, which is ultimately what the ESOP chose to do. Reece: We all know that with cash flow being an immediate problem in the business, you needed to talk to the lender. What did the lender require, and how were those discussions? Sands: They called me and said, “Here is what happened earlier today. Can you be there tomorrow?” What they really wanted was control and transparency. They wanted someone to clamp down on the checkbook, figure out the options, and try to prioritize them. We were already in workout at that point, and they wanted to be able to report to the credit committee about what is going on: here is the cash balance and here are the steps going forward. That’s what we did for the lender immediately. The liquidation analysis showed they were going to have a deficiency, so we went about trying to figure out how to get beyond that. Reece: Also, in a crisis like this you usually have concerned employees worried about getting paid and worried that this is going to be a long-term process. What did you do to get the employees to calm down and stay? Reece: Management often is critical. With the CEO no longer there, did you have reliable management, or did you promote from within? What did you do to solve the management problem? Sands: We had really good management. There was a lot of family. The CEO’s brother was in charge of sales, and he had a fantastic relationship with the customers. He and I were able to give the customers confidence and security. We had to bring in a new operations person because we didn’t have any confidence in who was there. We also had an egregious quality issue with the biggest customer. They made it very clear to me that there was one person remaining who they didn’t trust, so that person was fired that afternoon. We brought in a quality professional that we’ve used in the past as an interim consultant, and that gave the customer the confidence to move forward with us. Reece: To stabilize the cash flow, were you able to continue to borrow from the lender, or were you successful in collecting the money as receivables? What did you do about the immediate cash flow problem? Sands: We weren’t able to get any more money from the bank or other sources, so we immediately stopped paying all the bills and were able to come up with cash that way. We went from zero cash and unable to afford payroll, to a couple hundred thousand within a few weeks, which greatly upset the supply chain. Then our issues shifted to keeping the supply chain moving and sitting on their cash and using that to recycle materials and orders through the plant to generate positive cash flow. Reece: Jon, let me turn to you. What were your observations about the cash flow, the solutions for the cash flow, and the modeling they had available at the company? Verbeck: Jeff performed the initial cash flow analysis for the company. I came in with Larry and we developed a consistent process to true up actual cash receipts and cash disbursements and reforecast cash flow on a weekly basis. We also included a weekly sales forecasting process to ensure what we were forecasting to ship was actually shipping. A lot of the financial process improvements made were due to this weekly process. We also put in daily reporting with visibility to cash and accounts receivable. By definition, in a turnaround financial numbers are typically not accurate, so we worked hard on the daily, weekly, and monthly processes to improve and get all numbers as accurate as possible. Reece: And then were you able to speed up the collection on the receivables? Verbeck: A lot of that was the visibility that Larry and I received from our reporting. When things drifted over, we were both on it immediately. That helped keep payments to terms and speed up historical collections. Reece: Were there major changes in the cash flow modeling or the projections that you thought were needed when you first stepped in? Verbeck: We took a hard look at the initial projections and the 13-week cash flow. Over time, we got much better at forecasting operating and cash flow results. The process we put in place made us better at predicting future cash receipts and disbursement requirements. We got very detailed and forecasted cash receipts by individual customer. We definitely got much better and more accurate over time predicting cash receipts by expectations to actual and getting a feel for what the cash coming in was going to be. Reece: Jeff, what happened with the FBI and Department of Labor investigations that were going on? Were you able to turn them back fairly quickly? Sands: We were. We were able to reach out through our law firm to the attorney general in Vermont. We pled our case and said, ”If you need to arrest anyone, I’ll have them waiting for you in the parking lot. We can’t afford a circus or the media showing up. We’re happy to help, but we’re here trying to save all these jobs, and we need your support.” They were great and they understood. Luckily, Vermont is a small state, and they valued the business and the jobs they have and realized they weren’t going to come in and be disruptive. Reece: How was the decision to sell made? How did the employees and the ESOP react to that? Sands: We had to keep our biggest customer. This is a large multinational aerospace company that represented 40 percent of their sales. I put it in their lap and told them where I thought we could go with the company, but it was 100 percent up to them whether or not they stayed. I told them if you want out and to see this little business go away, continue on your path, but we’ve been a great vendor for 20 years. You know the folks here and you trust the folks that are left. If you want to see this company survive, you need to step up in a big way and put orders in. This is your responsibility. We’ll do our best, but you control the destiny here. It was a bit of guilt and a bit of throwing it in their lap to see what they’d do. And they stepped up and they gave us more orders and more commitment, which made potential buyers feel good. Then we were able to go to the employees, who were the owners, and say, ”The customer is with us. Now, do you want to protect your equity, which is worth nothing, and will be difficult, tenuous, and poverty-stricken to try to protect over the next several years, or do we want to protect the jobs, and we’ll go find a strong financial buyer who will put money into the company? Your jobs will be a certainty and the company will be a certainty, but your equity will be wiped out.” One-hundred percent they voted to find a potential buyer and protect their jobs and protect the company. That ended up being pretty easy and very clear and definite from the employees. Reece: What sales process did you set up? Sands: We identified all of the strategic buyers and competitors that we knew of, as well as a few private equity companies that had a taste for these types of transactions, like AIAC. We put together a formal process, had four visitors to the factory, and two strong offers. AIAC was the stronger offer. Obviously, since the company was employee-owned, we kept everyone informed and engaged in the process, so the employees and management knew what was going on. Reece: How quickly did the process proceed from the first day you walked in until the day you walked out? Sands: From the first day we walked in, it was probably a month or two of just getting control. We had binding offers within five weeks of putting out information, and we closed four or five weeks after that. All in all, I think it was during our 13th week that the business transitioned. Reece: Larry, I’m interested in what you saw in this struggling distressed company that made you think it was a viable candidate for your purchase? Schwoeri: AIAC focuses on troubled companies, even deeply troubled companies. When Jeff reached out to us, I made a quick visit and decided it was something that was of interest to us. Once we get beyond “this is something in our strike zone,” we take a look at the strength and quality of the customers, and Vermont Aerospace had A+ customers with good relationships with those customers. Next is the management team and the employees, and it seemed to me they had a very strong and committed management team. Jeff had done a good job of weeding out some of the weaker players in addition to bringing in a new manufacturing manager. And third is, what shape is the equipment in? That was my major concern. They had a lot of older pieces of equipment. I got myself comfortable with what they had and saw that it could work, so we decided to step in and make an offer. Reece: Was there initial due diligence? Schwoeri: The most important is the financial structure. Jon and I worked together to put together a 13-week cash flow and an annual forecast to see whether this thing was going to work or not. A lot of times the due diligence is spent verifying the financial assumptions and analyses that have been done by the management of the company. We also had to talk to the customers to see what their appetite was for continuing on, and based on my experience that is also a selling opportunity for the company. They can say we’re going to invest in equipment and people and systems, and it’s your first opportunity to sell them on continuing to do business. The due diligence probably took about five days of intense work, and then some follow-up work by Jon on the financials. Reece: What offer did you make, and how did you structure it? Schwoeri: We structured it within the parameters that the bank had laid out in terms of what they wanted to get out of the transaction. We put in some equity and a provision to allow the vendors to recover some of their payables. Those were the three principle components of our offer. Reece: With the vendors and trade payables, what type of a deal did you have to strike with them? Schwoeri: We issued 10-year notes, and that was enough to convince them that our offer was viable. Reece: They’ll get 100 percent payout over the 10-year time frame? Schwoeri: We limited it to a fixed amount, which was somewhere around 60 percent of their outstanding. Reece: Was there a requirement that they continue as a trade vendor? Schwoeri: No. My experience is that everyone sees the light pretty quickly and that it’s in their best interest to continue with the company. There was only one large vendor that didn’t continue with us. Reece: Let me turn to Kristin. It sounds like if not everyone would go along it could be a problem for the company or for the buyer. What were the legal obstacles for the buyer? Wainright: There were a couple of different issues here. You had a corporation that was owned by an ESOP, you did not have the traditional board of directors that you deal with in most corporations, and there was an independent director to handle the sale and the ultimate dissolution of the entity. In terms of making sure that the seller had properly approved this sale, the ESOP had to be terminated, which means that the shares were distributed to all of the employees. Then you had a shareholder meeting, where I think 80 percent showed up and unanimously voted to sell the company. Another concern I had as buyer’s counsel was that you knew that the seller was going to be dissolving. There was no true cash consideration going to the seller in this case, so you do not have the typical protections that you have in many asset deals: indemnity, escrow, pullbacks, those types of things. As Larry had said, the deal was structured as an assumption of debt, a payoff of part of the seller’s debt, and issuing the notes to the creditors. In addition to that, we had to work within what we knew were going to be the confines of the seller’s dissolution process post-closing. For example, the notes to the creditors were considered an asset of the seller that were distributed through that dissolution process. Reece: Was the issue of whether or not to file bankruptcy actively considered? Wainright: I do think that the seller’s counsel gave that significant consideration. As counsel for the buyer, the length of time that a bankruptcy would have required was not necessarily something my client had an appetite for, and I’m not sure that this seller had the resources to go through a bankruptcy filing. Reece: In some bankruptcies, it’s the buyer that requires the filing because they want a comfort order for the sale of assets free and clear of interest, claims, and liens. Was that something that you were not concerned about or needed? Wainright: It was definitely a concern of ours, but we felt that we could be creative in structuring the transaction to get a significant amount of the protection that you would otherwise get through the bankruptcy sale process. Reece: Once you made the decision and closed, what changes did you feel were necessary? What else did you feel needed to be done to ensure the success of this company? Schwoeri: If we go back to the hierarchy of reasons of why we bought the company, Jeff and I started working together to improve the on-time delivery performance for the customers. He had done a good job of maximizing the cash available, which we then funneled to the suppliers, which then allowed us to get the materials to make deliveries to the customers. We started building the customer trust even before we closed the deal by working together. We changed the company’s focus to being a customer-oriented company. The customers really recognized that. Number two, and I give credit to Jeff for this, he brought in a really strong operations manager. That individual has continued to perform excellently for the company. We also have upgraded the IT system, which was a big bone of contention with the major customers. They wanted to know how the scheduling system works to see for themselves where bottlenecks might crop up, and what we were going to do about them. Immediately after closing, we also refurbished all of the equipment so we could get it working productively. Finally, the other thing I always do in my companies is install a gain sharing program for all of the hourly employees. Jeff set the table nicely. We had a good, motivated group of employees. We layered in a productivity-based incentive program. The workers have done terrifically, and each of them receives a bonus check every month. That has been helpful in increasing productivity. Reece: How is it going today? How is the company doing? Schwoeri: It’s a grand slam home run. It started making money in the first week, and it hasn’t stopped. We’ve been on an upward trend ever since we bought the company. We have increased sales with all the major customers and have engaged several new customers. General Electric, which is a very tough customer, called us to ask us what we were doing. They said the on-time delivery was 95 percent plus and wanted to know what we’ve done there to make such a drastic improvement. That core philosophy that Jeff and I put in place, to take care of the customers and be customer-oriented, has carried the company to a great level of success. We had a lot of support from our bank in giving us comfort we’d have enough cash to make it through. We really didn’t need to use much of the line, but it was still helpful. This has also been a success for the employees. We saved 50 or 60 jobs and added 10 or 15. It’s located in a small town in rural Vermont, so it has really meant a lot up there. Reece: What is the long-term goal for AIAC? Schwoeri: AIAC is not a traditional kind of private equity fund. We tend to keep and run our business for a relatively long time, given that they are successful in generating cash. We will use this as a platform company and make other acquisitions and continue to grow in this segment. Reece: So many turnaround or troubled or distressed companies do not survive. What is it about this turnaround that was successful? Sands: In all turnarounds, it’s about precision: having a tight plan put together quickly and being able to execute on that plan before bad news can catch up to you. In this one, what makes it stand out is there was a shock, a surprise death. Everyone was completely shocked and willing to pay attention. When it’s a slow decline into bad results, everyone holds onto their delusion. The vendors think they can continue charging too much, customers pay too little and employees set their own pace; they all have false ideas. The shock made everyone wake up and pay attention and ask what they could contribute. They all did it. At the end of the day it was everyone else that made this happen—the whole stakeholder community. Verbeck: The capital structure and financial discipline that was put in place at the acquisition were extremely helpful. We had relief from current payables, so from a balance sheet perspective that was helpful. We did a cleanup of the inventory and the inventory systems that weren’t working, so we were able to get a handle on that quickly. The decisive action by the team made a positive difference. The employees were willing to change. The controller, for example, was there prior to this and is still there now. They all stepped up and were willing to change and make improvements. Schwoeri: I think we identified a winning strategy along with the management team, which was to be totally customer-focused and improve our on-time delivery. That translated into gaining trust with the customers. To me, every one of these turnarounds requires a good, loyal set of customers. You can’t make it work unless you have good customers. Second is the team, and this team was committed. They put the past behind them and looked forward to see how they could make the company a success. And we all worked together for the benefit of the employees. Wainright: In addition to what everyone else has touched upon, one thing that made this deal stand out was the community support. All along the way there seemed to be support for this transaction within the community. That made the process go much more smoothly than it could have gone otherwise. Kristin Wainright is a partner at the law firm of Tobin, Carberry, O’Malley, Riley & Selinger in New London, Connecticut. Her practice focuses primarily on corporate acquisitions, often in the distressed context. Her law firm clients include national corporations, Connecticut-based corporations, and local businesses. She, along with Joseph Selinger of her office, acted as counsel for the buyers in the Vermont Aerospace acquisition. They continue to represent the company on various corporate matters. Jon Verbeck is the managing director of Verbeck Associates. The firm provides fractional CFO and business advisory services to companies throughout the United States. Verbeck helps develop strategies and actionable plans that enhance profitability and cash flow for troubled companies, startups, and businesses in need of financial modeling and strategic assistance. He assisted in the due diligence and assisted reorganizing and developing effective financial operations at Vermont Aerospace. Larry Schwoeri is the managing director of American Industrial Acquisition Corporation (AIAC). He is responsible for several operating businesses controlled by AIAC. He recommended and led the investment in Vermont Aerospace based on a strategy that he developed with the company’s management and Jeff Sands, CTP. Schwoeri performed due diligence, framed the offer, coordinated the legal activities, and negotiated the bank financing, and he remains as CEO managing this successful turnaround. Jeff Sands, CTP, is the founding member of Dorset Partners. The firm is known for crisis leadership work like the Vermont Aerospace matter and also does general turnaround work, such as serving as the CRO, along with debt restructuring and fundraising. Client companies generally range from $20 million to $200 million in annual revenue. Sands has run, managed, or transitioned dozens of businesses in a variety of industries. Cathy Reece, moderator, is a partner and chair of the Financial Restructuring, Bankruptcy and Creditors Rights Group with Fennemore Craig in Phoenix. 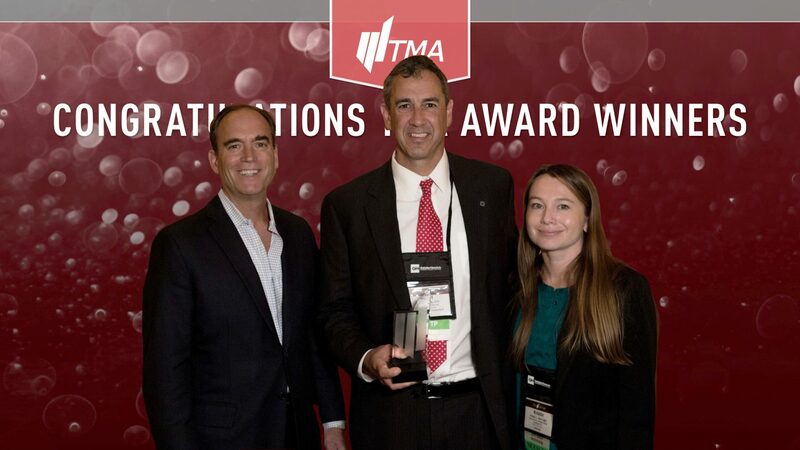 A former TMA Global Executive Board member, Reece has been active at both the global and chapter levels and was a member of the TMA Awards Committee that selected the turnaround of Vermont Aerospace Company to receive the TMA Small Company Turnaround of the Year Award for 2017. This entry was posted in In The News and tagged Kristin Wainright, TMA, TMA Small Company Turnaround, Vermont Aerospace Company.